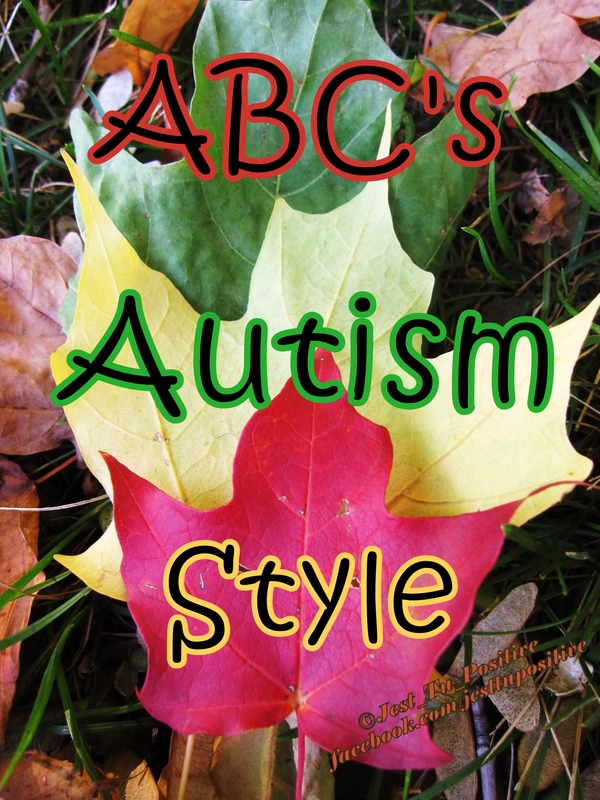 I wanted to put all the ABC’s Autism Style entries into one post, so they can easily be viewed from A to Z. I am overjoyed to complete this project, because I can see how my writing has evolved in the past 16 months. This has been a wonderful project, which challenged me on many levels, and has provided me with a strong foundation for my next endeavor. A HUGE Thank You to Marie for always believing in me, proofreading posts (when I had no confidence in myself), and honoring me with her perpetual support and inspiration. I love you Marie, and I would not be here without you, I thank God everyday for blessing me with such an extraordinary friend. 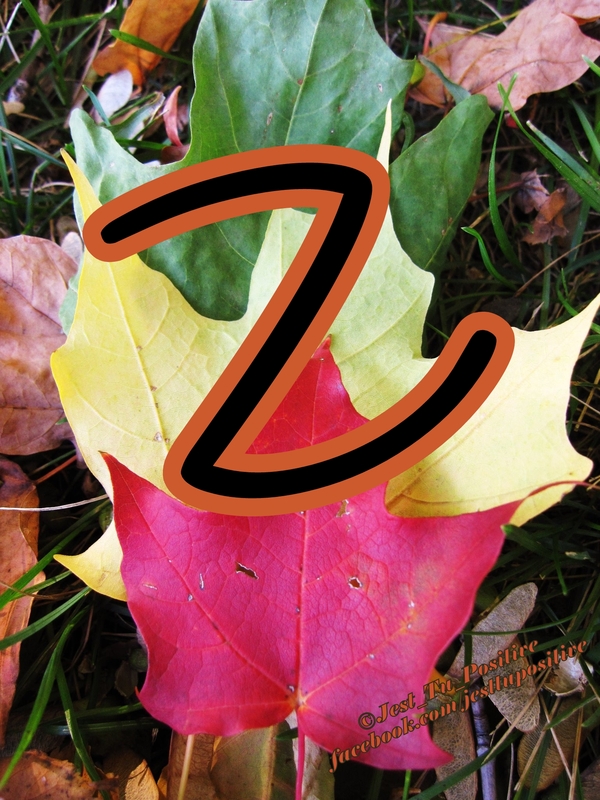 Zeal is a perfect term to describe how Autistic people approach many aspects of life. When a person hones in on their Special Interests, they ignite a desire to learn everything about those topics. Autistic individuals zealously pursue their interests because knowledge, understanding, and experience in these areas provide them comfort and joy. These special interests can be utilized as a way of educating and teaching new concepts to children with Autism. When an Adult with Autism obtains work pertaining to their area of expertise, they become extremely valuable members of the companies they work for, and the communities in which those businesses operate. As a parent of an extraordinary Autistic child, I am thankful for the different angles I now see the world from. I would not have these unique views without Beth and her amazing gifts, which stem from her Autism. Her road may not always be easy, and she will face all kinds of ugly in the world; however, she will persevere and she will remain passionate and full of life, because she is Au-Some. The past week was filled with immense tragedy for the Autistic community. 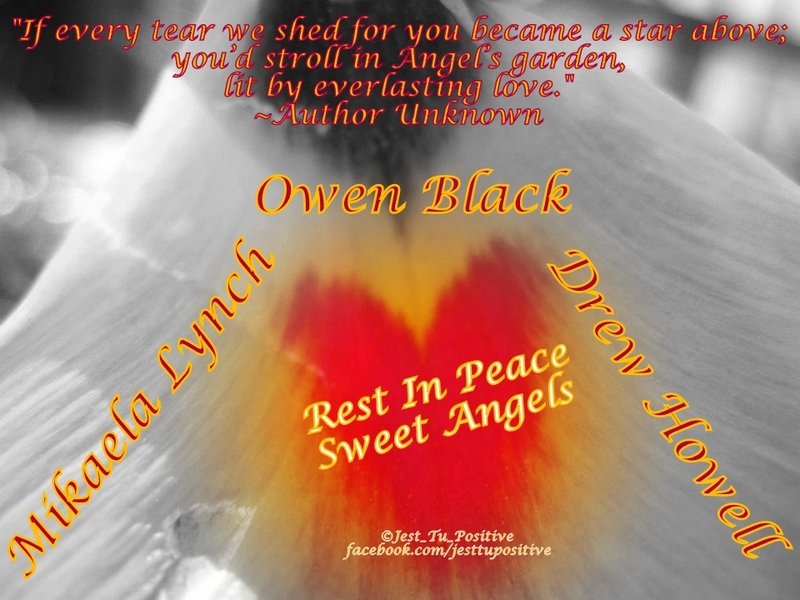 Three children, Mikaela Lynch (age 9) in California, Owen Black (age 7) in Florida, and Drew Howell (age 2) in Ohio, died due to wandering and subsequent drowning. As their devastated families try to come to terms with their tremendous loss, there have been many ignorant people who dare to cast blame on them, and it is sickening. My heart is heavy with sadness for the loss of three young lives; and it is filled with outrage for those who carelessly judge what they cannot know and do not understand. Today I am joining hundreds of other bloggers to support these families by showering them with prayers and love via cyberspace. As a parent of an Autistic child, who is a wanderer, I know the terror you feel when you realize your child has slipped away. We have had several close calls with Beth in the past 2 years. I have learned the hard way that I cannot control people, places, or things; therefore, I do the best I can and pray that it is enough to keep her and Anne safe. Although, I have stopped blaming myself for past events, I relive each one of our close calls every time I hear of other families who were not as fortunate. I grieve for all the wonderful parents who have seen their worst nightmare come to life. In the blink of an eye, any of us could lose our child due to wandering/elopement and the dangers they face while out of our care. For the Lynch, Black, and Howell families that is exactly what happened, in less than 30 seconds, their lives were forever changed in the most tragic of ways. They are NOT bad parents; they are NOT inattentive parents! They are humans, who did all that was in their power to keep their children safe. They LOVE their children, and probably blame themselves for the horrible accident that took them from this world, even though they are NOT to blame in anyway. They lost their Autistic Angels under the worst of circumstances, and are grieving their loss in ways that most us will never know or fully understand. Please keep this in mind when you share and comment on posts regarding them and their Angels. Please attempt to put yourself in their place, and imagine how you would feel, then decide what you want to share. A general rule of thumb I use is the acronym THINK (T – Is it Thoughtful? H – Is it Honest? I – Is it Intelligent? N – Is it Necessary? K – Is it Kind?). If I can answer Yes to all those questions, then I hit submit/share; if the answer to just one is No, then I must step away and pray for guidance before I put my thoughts out in cyberspace. I am pleading with you to stop the spreading of cruel misinformation and judgment, instead help spread love and support for families in crisis. Please keep the Lynch, Black, and Howell families in your prayers today and in the future months. May Angels surround them in love and light as they grieve; and bring them hope that tomorrow it will hurt a little less. If you would like to read some of the other wonderful posts that are part of An Outpouring of Love for the Mikaela Lynch Family, please visit the ever growing list of amazing, informative and touching blog posts. If you would like more information about wandering/elopement and how to help keep the Autistic children in your community a little safer, please visit theNational Autism Association and the AWAARE Collaboration. 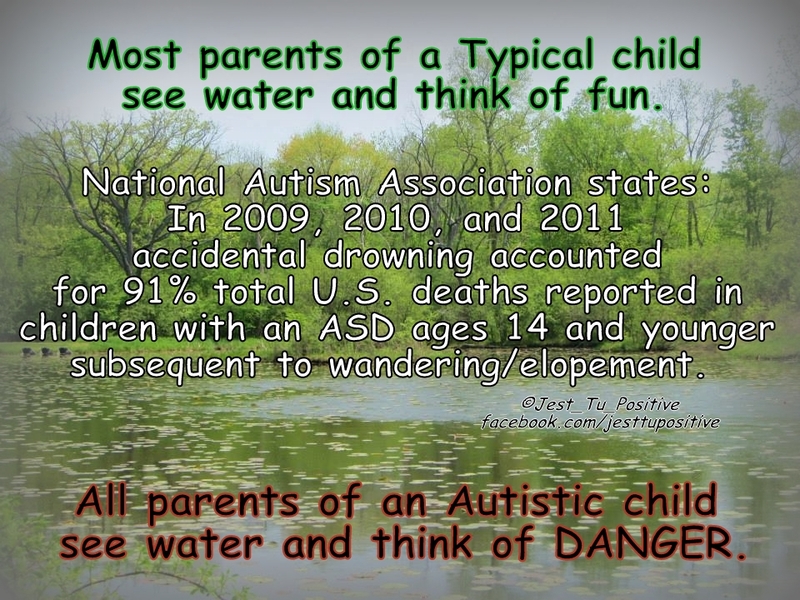 Autistic individuals are drawn to water. Parents of Autistic children do all they can to keep their children safe. Unfortunately, our kids have the ability to figure a way around almost every safeguard, and it only takes a few seconds for a child to disappear. Once they are on their own they follow whatever catches their interest, which usually leads them to water and danger. Please do not judge or attack the broken-hearted parents who just lost their beloved child. Praying for the Lynch, Black and Howell families as they mourn Mikaela, Owen, and Drew; may they find solace in their loved ones, and know that the Autistic community is sending them love and support during this tragic time. Ms. L took this picture of Beth during their session today. 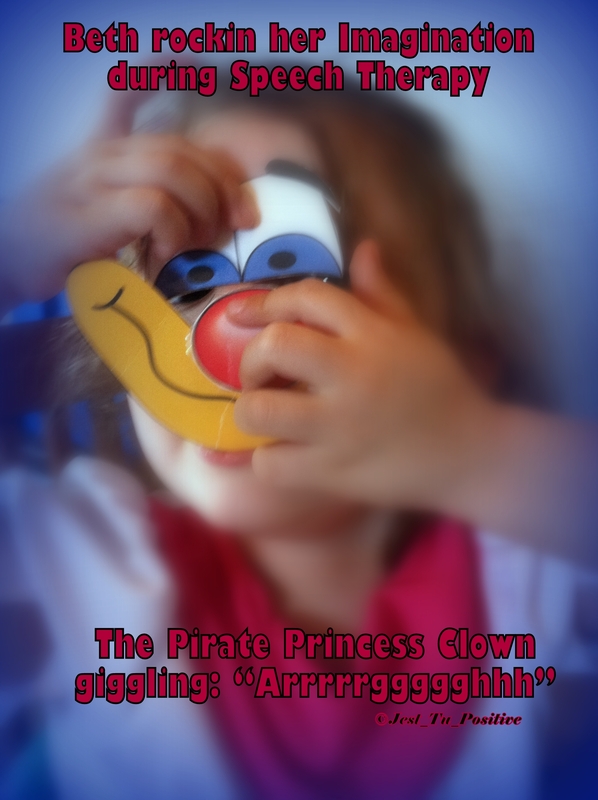 Her imaginative play gets more creative and fun everyday. As her imagination grows, so does her vocabulary. Just one of the many reasons we LOVE Play-Based Therapy. Not that it is anything new, but today was really bad with the girls’ sibling rivalry. They could not be anywhere near each other without meltdowns, or UFC style fighting. When they are in this kind of a mood, it is like a war-zone in our house, and I find myself constantly praying for peace, while trying to keep Henry calm. Since I have been doing Home Therapy with my fun tools, we have discovered that the girls like to do my exercises too. My newest Home Therapy Tool is a measuring tape, which I use with the bar for their swing to simulate a pulley. I took one to work the pulley, and Henry took the other to work the resistance band. When they got too worried about what sister was doing, we switched. Although there were still some tears and yelling, it was a sensational way for them to work off some pent-up energy and aggression. Once the pulling fun lost its peaceful effect, we took them shopping at Costco. Both girls love heavy-lifting and helping. So putting items in the cart at Costco makes them extremely happy. Anne is content to sit in the cart the entire time and watch the chaos that surrounds her. Beth on the other hand, wants to push the cart, but she settles for helping take stuff off the shelves; until after we check out, because it is not safe for her to be walking around there. Once we have the cart packed, then she gets to help push it out to the car; it is her favorite part of the trip, and she is always in a phenomenal mood afterwards. When we got home there were still moments filled with sisterly angst, but the choo-choo-box-train quelled most of the unrest. They gave their animals rides in the train; they pushed each other, and even got rides from Daddy. It was a wonderful, mostly peaceful, way to end the day. They even enjoyed a bubble bath together, with no fighting, which is a rarity. On a side note… Beth was so excited about the watermelons she helped Daddy pick out, carry and cut up; that she actually ate some and said it was delicious. This is HUGE, because she has always refused to taste it in the past. I am trying not to get too excited, but can’t help hoping this is a sign of good things to come, and perhaps her eating more healthy foods. The last two years we have participated in the Chicago Autism Speaks Walk. In 2011 we walked with our former playgroup to support the organizer’s son. At that time we were unaware that Beth was Autistic; it would be another 2 months before we would even call Early Intervention for an evaluation. We were amazed by the 15,000+ people in attendance, and it was a wonderful feeling to part of something so monumental. We did the entire route, but were one of the last families to finish because our daughter required many breaks, and by the end of the walk she was so overwhelmed and out of sorts that we headed home; passing up the opportunity to join our friends at the cool party that was at the end of the walk. In 2012, with a fresh diagnosis of Autistic Disorder for Beth, we supported the Walk Now For Autism Speaks campaign. We planned to walk with the playgroup again, this time supporting Beth and the other woman’s son. We did the fundraising, and even had team shirts made, but were unable attend the event due to inclement weather. This year, we will participate in Little Friends fifth annual Step Up for Autism walk on Sunday, June 23, 2013; which offers a fun-filled morning for families along the Riverwalk in downtown Naperville. On June 23rd Boo’s Bubble Brigade, our team of family and friends, will spend an Au-Some morning helping to ensure the future availability of Little Friends outstanding services for Autistic individuals, their families and their community. We will Step Up, bubbles in hand, and help build a brighter future for everyone. If you are in the Chicagoland area, please consider joining us, or creating your own team to Step Up For Autism. 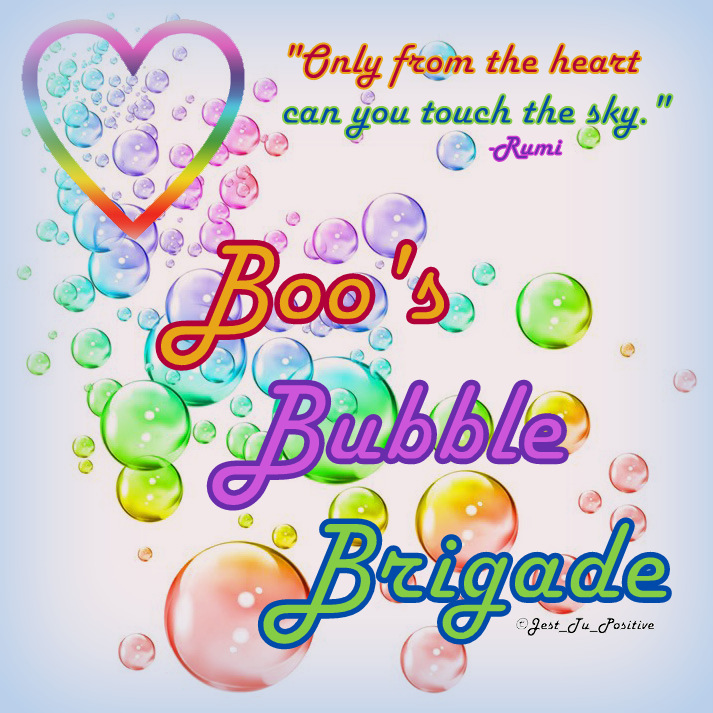 If you are not in the Chicagoland area, but would like to donate to this extraordinary organization, you can donate to Boo’s Bubble Brigade or make a General Donation to Little Friends. If you are inclined to pray, please keep this amazing organization and everyone they touch in your prayers. We pray they meet their fundraising goal of $175,000 in order to continue assisting Autistic individuals reach their God-given potential through nurturing programs, which promote Pride and Respect for ALL.